Chiropractors are licensed professionals who specialize in diagnosing problems with the body’s muscles, tendons, joints and bones in connection to the nervous system. Patients who are experiencing an unusual amount of stress, have any one of a number of skeletal deformities or who have had accidents in the past which have altered their ability to move their joints properly may seek the help of a chiropractor to diagnose and treat the condition. Chiropractors are much like a dentist or a foot surgeon; they are specialized in the treatment of ailments that fall into a specific category. Manual therapy techniques such as strengthening of muscles and joints, massaging certain areas of the body to induce neural stimulation, and suggestions about changing lifestyle and diet are all included in a traditional chiropractor’s treatment options. However a chiropractor is not a medical professional in the sense that he or she cannot prescribe pharmaceuticals for a known medical condition, nor can they perform open surgery. The most common of chiropractic therapies is the manipulation of muscles and tissue near the spine, which is where the central nervous system branches off into the vast array of nerve bundles. Patients often have their back massaged or are exposed to increased pressure in certain areas. Individuals who suffer from constant lower back pain are the largest single population that seeks help from a chiropractor. Neck manipulations are also performed regularly by licensed chiropractors. These high velocity, low amplitude massage procedures are offered as a way to reduce stress by relieving pressure on the muscles in the vicinity and therefore act as a natural relaxant. Chiropractors are trained to e very careful when stimulating any area that is in direct contact with the central nervous system. Over massaging an area can actually create problems with the ability for the nerves to perform their job, and in some cases patients complain of an excess of stimulation. Although chiropractic procedures do not fall under the listing of mainstream medicine, those who are licensed to perform this treatment and therapy are subject to legal repercussions if they do not follow the standard techniques. Much like a medical doctor, a chiropractor must make an initial determination of what may be wrong with the patient’s health and then decide on the appropriate treatment program. If he or she fails to administer the proper treatment, the patient may experience a worsened condition or even be exposed to treatments that cause a new problem with movement or muscle performance. Chiropractors therefore have an industry standard they must follow, and they are trained to understand the likely causes of discomfort in their patients. If they believe that the patient is suffering from a medical problem, it is in their best interest to recommend another form of treatment. Those who believe they may have suffered physical damage from a chiropractic treatment or therapy may be able to claim damages, if and only if the chiropractor was properly licensed. Many massage therapists, alternate treatment professionals and back specialists are not licensed to practice, and cannot be sued for damages in most cases. 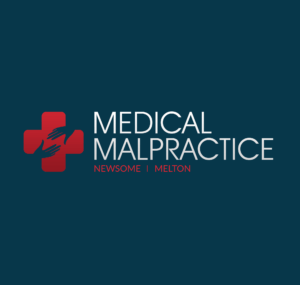 An attorney specializing in medical malpractice may be of great assistance for those who may have been injured or their health compromised by chiropractic therapy.